Python is an interpreted high-level programming language for general-purpose programming. Created by Guido van Rossum and first released in 1991, Python has a design philosophy that emphasizes code readability, notably using significant whitespace. It provides constructs that enable clear programming on both small and large scales.In July 2018, Van Rossum stepped down as the leader in the language community after 30 years. Learning Python is important as it is a cross platform computer language that is used by giant corporations to do work in a quick and efficient manner. 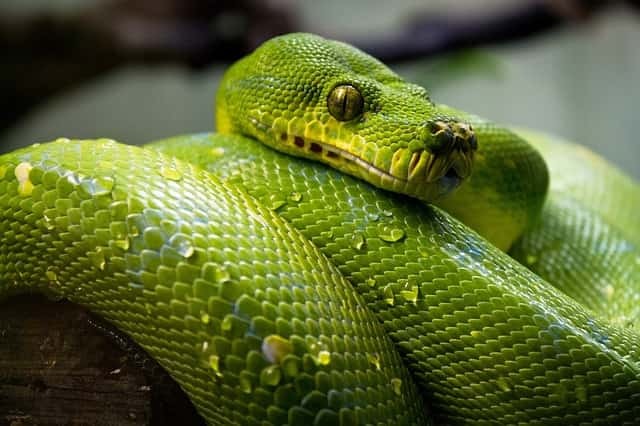 Learn Python The Hard Way This site provides a free Python ebook along with a paid video subscription option to learn python. This training program focuses on learning by experience and trying sample code on your own. Handbook Of The Physics Computing Course This is a python ebook created by Professor Michael Williams for physics sutdents the University of Oxford, however any other Python learners can benefited from this online ebook. Google’s Python Class Python tutorials by Google developers. This python ebook is totally free. Its created with a focus for people with preliminary programming experience. Introduction To Algorithms: Python A Python version of Introduction to Algorithms course by MIT university. A Byte Of Python This book is targeted for beginners. Very basic knowledge of computer use is required. Dive Into Python This is free book for experienced python programmers. Its available for online reading as well as multiple formats such as PDF, MS Word and more. Invent Your Own Computer Games With PythonVidoe game programming with python is as popular as hacking with python. This book provides you the complete source code for a new game, and also teaches you the game programming concepts using examples. Making Games With Python & Pygame This book focuses on graphics based games development using python and a library pygame. Natural Language Processing With Python This book focus on natural language (e.g. English) processing using python. Python For Fun This is tutorial is a compilation of handy python programs that you can learn from. Snake Wrangling For Kids This is a ebook, for kids 8 years and older, who would like to learn python programming. Building Skills In Python A book for beginners to learn each feature step by step. Porting To Python 3: An In-depth Guide This book focus on porting your python 2 code to python version 3. Python Bibliotheca This a resourceful site for learning python and contributing to the community. You can collaborate with teachers and students of python. Udemy Free Courses On Python Udemy is one of the most popular marketplace for online video tutorials. This site has huge collection of paid tutorials, however some of them are also free. There are many tutors teaching thousands of students. You can choose a tutorial based on user reviews. Python Video Tutorials By Alison This site provides lessons and also evaluates your performance based on a assessment test.